15" Tray 1" H x 15" Diam. 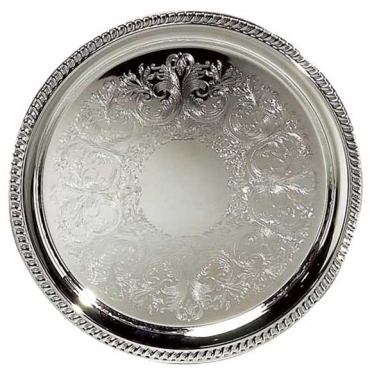 If you want to incorporate an elegant touch into your event, our "Silver Round Tray" is ideal. The silver-plating will retain its shine so that your guests will be impressed by its regal appearance. The intricate etching on the tray adds to its appeal and complements its scalloped edging. Depending on your menu, we offer a variety of sizes so that you find something to fit your needs.